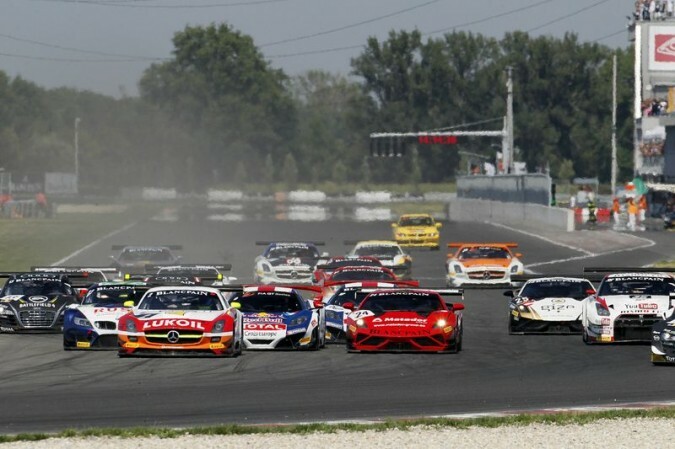 The first event of the new FIA GT Series took place in Nogaro, France last weekend. Andreas Simonsen (SWE) contests this season for the H.T.P. Gravity Charouz team in a Mercedes-Benz SLS AMG GT3 which he shares with Sergey Afanasiev from Russia. The 3.636-km track was new territory for the Swede. “At first, the track seems like a Micky Mouse track because it is pretty short. 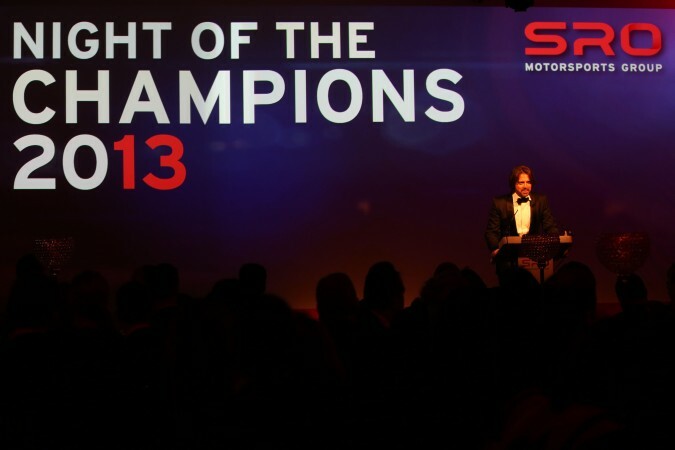 However, there are parts which are quite tricky,” says Andreas Simonsen. Simonsen was highly motivated for the free practice sessions, handling the Mercedes well right away despite the difficult weather conditions. It started raining repeatedly, and in between the track started to dry which was challenging for the FIA GT drivers. Due to several yellow and red phases in the qualifying sessions the duo Simonsen/Afanasiev could not secure the starting positions that would have been possible otherwise. Neither was really happy with start position P15 for the Qualifying Race on Easter Sunday. After a good start in the Qualifying Race Andreas Simonsen was hit by another car and sent off into the grass in the first lap. Simonsen rejoined the race at the end of the field and managed to gain a few places despite a damaged rear diffuser and a bad tyre. 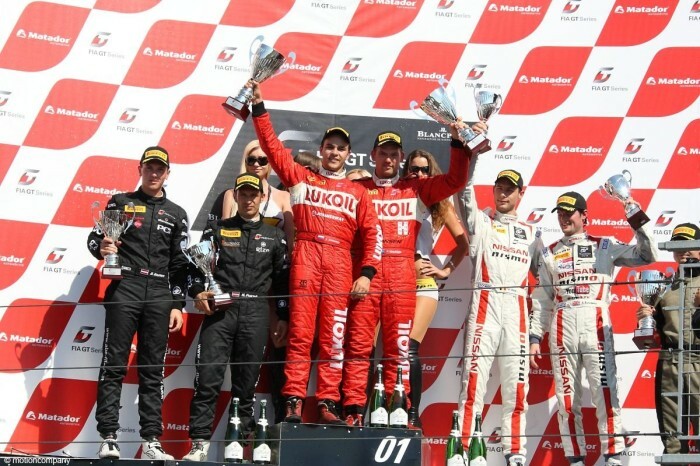 His partner, Sergej Afanasiev, took over the gull-winged car in P16. Additional valuable seconds were lost due to a delay during the pit stop. Afanasiev finished his stint and therefore the race in P13 in the overall standings. The safety car was deployed in the Championship Race on Easter Monday when it started to rain. Afanasiev defended his position well and fought a battle with a BMW later on. As a result he had to cope with an off-track moment in lap 9 after two contacts. The Russian driver was able to get back on the track, rejoining the race at the end of the field. Shortly afterwards, race control gave the gull-winged car a drive-through penalty which Swedish driver Simonsen served after taking over the car for the second half of the race. Simonsen fought hard until the end of the race but was not able to gain any real places. He finished the race in a disappointing P16. Andreas Simonsen about the weekend: “I felt great at the first event of the season. The car runs well and is fast. The team is fantastic and the cooperation with the two engineers Renaud (Dufour) and Mickel (Letter) works well. We had both dry and wet conditions in the free practice session. It was a challenge for me but the SLS ran well and I worked out my line. The qualifying did not go very well due to the yellow phases. Otherwise we would probably have reached the top10. I had a really good start in the first race. However, when I was sent off the track I had to re-start the engine and push forward again. That safety car period worked perfectly for me. I was able to close the gap to the field. Unfortunately, we only reached P13 in the end. 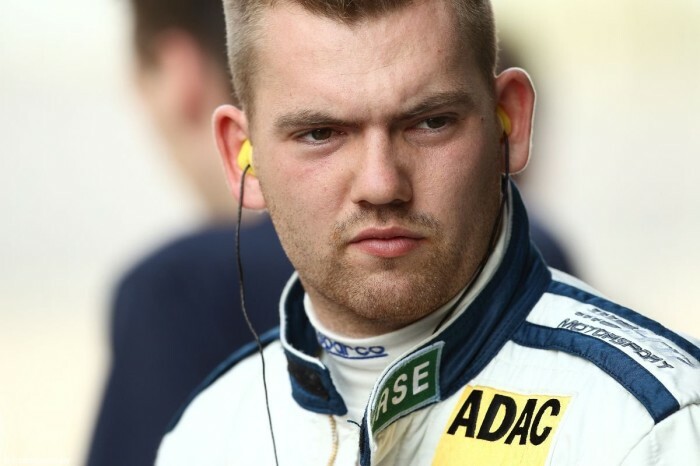 Sergej was pushed off the track by a BMW in the Championship Race. That incident resulted in a drive-through penalty for us, which I served. Well, given the strong field, you do not really get a chance to move up again.